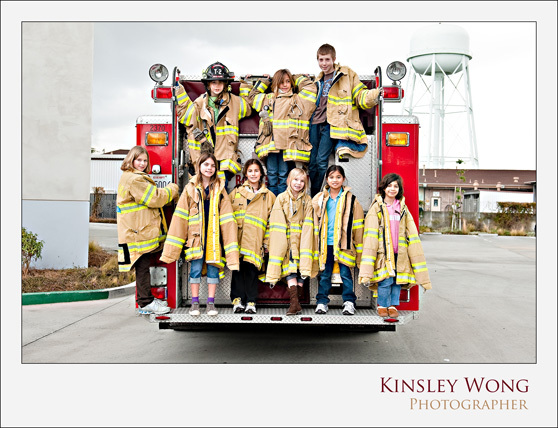 For the last few years I have been donating a photo session to the Silicon Valley Children’s Fund charity auction. 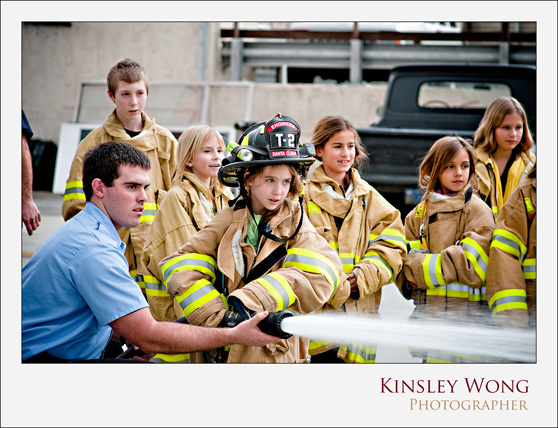 This year my photo session was combined with a birthday party at the Santa Clara Firehouse. 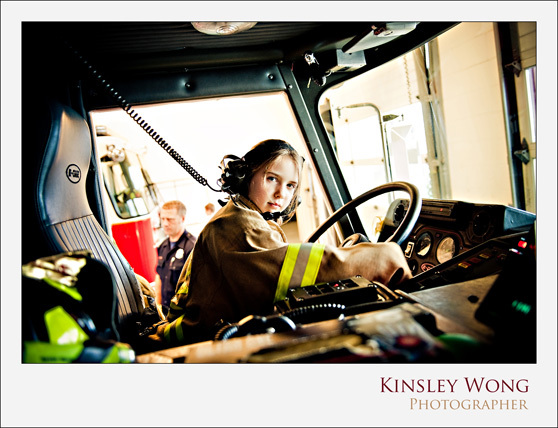 I was thrilled when I learned I will be shooting inside a firehouse. I have never been to one before. I think I was as curious and excited as the kids. Here is the birthday girl Lauren celebrating her ninth birthday. She looks like she knows how to drive that trunk. Last month I photographed the Lui family right before their new addition arrived. This picture really captures the love they have for their unborn child. Here he is at 3 weeks! Wow, I forget how tiny they are. Dad and son sharing one of many special moments together.